Those who trust Mitt Romney's current statements on his abortion position would do well to read Warner Todd Huston's article, Mitt Romney's Abortion Flip-Flop Not Like Ronald Reagan's. Even if he is telling the truth that he was "personally pro-life" while going along with the pro-abortion agenda, he seems to lack the strength of conviction on this issue. I don't see how pro-life people can support Romney in the primary when candidates with clear pro-life records such as Mike Huckabee are strong contenders in this race. 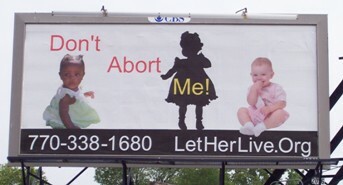 The fact is, in Mormonism, abortion is not murder. It gets confusing fast, but it has to do with "spirit babies" in the "pre-existence." Like Mormonism, the blog isn't what it seems. The reason Mitt Romney is "ambivalent" about abortion is because in Mormonism, abortion is not murder. It's not sin. It gets confusing fast, but in Mormonism, it involves "spirit babies" from the "pre-existence."